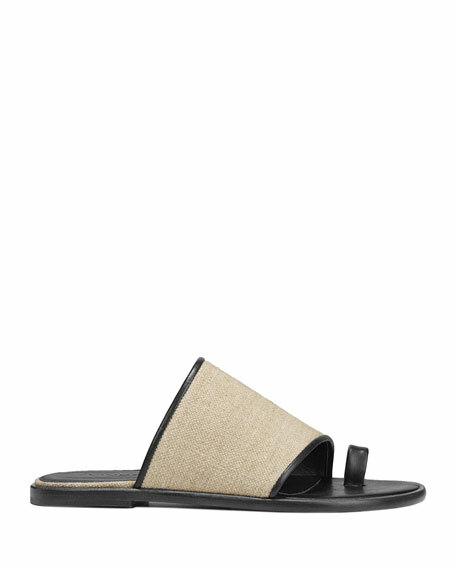 Vince "Edan" sandal in linen fabric and rock calf leather. EXCLUSIVELY AT NEIMAN MARCUS (Gray only) Giuseppe Zanotti patent leather sandal with Swarovski?? crystal-beaded suede lip appliqu??s. 0.3" flat stacked heel. Three-band upper. Slide style. Leather lining and sole. Made in Italy. 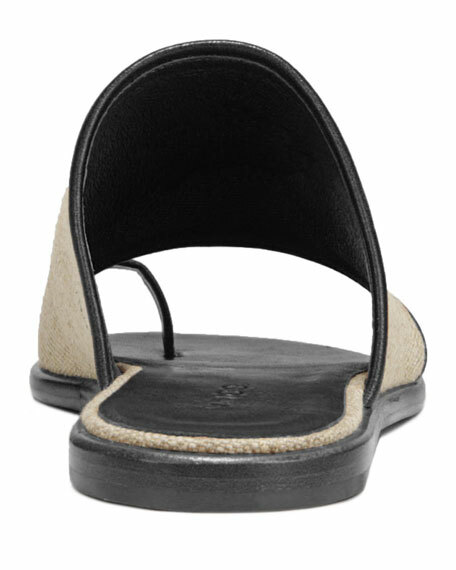 MICHAEL Michael Kors tumbled leather thong sandal. 1" flat heel. T-strap vamp with golden logo accent. Adjustable ankle strap. Padded footbed. Rubber outsole. "Brady" is imported.